Ms. Ivancich is the managing partner of Ivancich & Costis, LLP. She is a Board Certified Specialist in Workers' Compensation and is also a Northern California Super Lawyer. 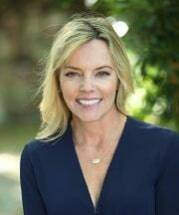 She is an active member of the California Applicants' Attorneys Association (CAAA) and of the CA State Bar. Ms. Ivancich is a graduate of UCLA and received her law degree from Golden Gate Law School in San Francisco. She is a tireless and aggressive advocate on behalf of her clients.